We have just received the kind gift of two watercolour paintings from Pamela Woosey, of Ramsbottom. They were painted by her grandfather, A. Victor Strange, in 1913 and 1914. Pamela remembers coming down to the Hall by tram from her home in Prestwich. The paintings give an idea of the Hall in its still rural setting just before the Great War of 1914-18. In this picture, we see the Hall from the South side, from what is now Mauldeth Road West, looking towards Chorlton Park with its trees. 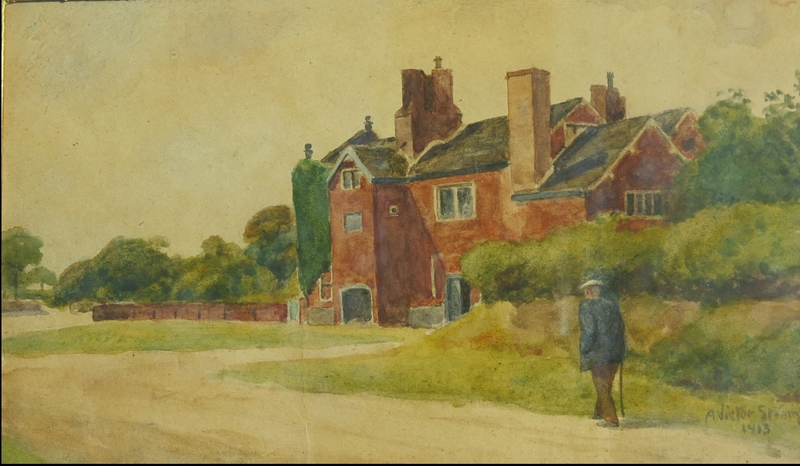 A. Victor Strange, Hough End Hall from the South, 1913. In the second picture, we see the garden of the Hall from the other side. The man appears to be cutting the grass with a scythe. The outbuildings have long disappeared, and the garden wall is now where the monstrosity of Mauldeth House stands. 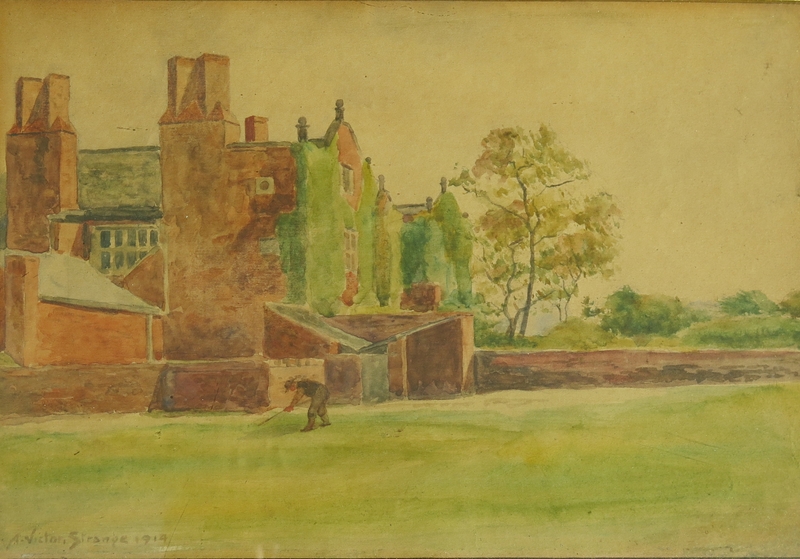 A. Victor Strange, Hough End Hall from the North, 1914. Thank you Pamela for this interesting insight into the history of the Hall. This entry was posted in History and tagged 1913, 1914, history, Hough End Hall, painting, watercolour by houghendhall. Bookmark the permalink.